Hemp has been used for food and fibre from the start of human history and it will continue to do so to time indefinite. Currently, countries marked in green allow their inhabitants to eat the world’s safest, healthiest food. Those in red do not. Legal updates in Australia as at February 2017. Please refer to the attached TGA announcements issued on 2 February 2017. Elixinol’s legal team have reviewed these announcements. ii. Not to be taken. b. in products for the purposes other than internal human use containing 20 mg/kg or less of tetrahydrocannabinols and 50 mg/kg or less of total cannabinoids. 1. Hemp CBD must now be considered as a Schedule 4 Entry for Therapeutic use and for either internal or external use. Section a. stops the external use sales at the levels of concentration in the Elixinol product range. 2. Schedule 4, items must be prescribed and supplied by a Pharmacy. Prescribing Doctors need registration under the Safe Access Scheme. Products need registration with the TGA for use in a particular Therapeutic use. 3. And at present there are no Hemp CBD products registered with the TGA for “Therapeutic use” either for internal or external use. 4. 50mg/kg excludes the Elixinol product. 100 mg of Elixinol Hemp CBD per 30 ml means that it is approximately 66 times stronger than allowable dosage for use externally and sale without a prescription. 5. This action seems to be tightening up the situation before the TGA start allowing the prescription process of registration of Doctors and products. 6. In the USA Elixinol sell their product as a Dietary Supplement which does not need a prescription. Doctors and Naturopaths can include HEMP CBD in the dietary advice for a client. 7. At present under the TGA Schedule 4 ruling Elixinol cannot register their product as a Dietary Supplement in Australia because of the concentrations of total cannabinoids including Hemp CBD. The closest product to being registered is the GW Pharma Epidiolex ® (Cannabidiol CBD isolate) once our State Governments have paid for hospital trials on Epilepsy are completed in X number of years. Elixinol have made a decision that they now must find Doctors or Specialists or animal research labs or Universities to work with to prepare double blind trials so that a “Prescribable product” can be developed and registered by the TGA for use in Australia. Whether this be for pain, anxiety, epilepsy, cancer, PTSD or Parkinson’s Disease. The Doctors at present are saying where in Australia is a lab, hospital or University prepared double blind research that they can hang a prescription on without going to jail. Where is the TGA approval for Hemp CBD use in a particular situation or disease? Elixinol have decided yesterday to stop importing product at present for the Australian Market. Sales to stop by 1 June 2017. This is a big shift in the HEMP CBD story for Australia. We await a full communication from Luke Jolly on behalf of Elixinol LLC. Delegates’ interim decision 2 February 2017 includes. e. the Schedule 4 entry for cannabidiol be amended to include clarification in relation to total content of other cannabinoids. The Elixinol Hemp CBD (Cannabidiol) Oil and Liposomes are made from Industrial Hemp plants organically grown in Northern Europe. These oils are cold processed using CO2 supercritical fluid extraction resulting in a solvent free, whole plant, pure extract Full spectrum Cannabinoid containing less than 0.2% Psychoactive Tetrahydrocannabinols (THC) as is found in Heat processed Medicinal Cannabis from Marijuana Hemp. A. Industrial Hemp Cannabidiol (CBD Full Spectrum) when used for External Use containing less than 2.0% Tetrahydrocannabinols (THC) (psychoactive) do not need a prescription and can be purchased from any supplier. Case Studies are recommended. Use during a Remedial Massage or Reflexology Treatment to stomach, joints, feet, hands and base of neck. B. Industrial Hemp Cannabidiol (CBD Full Spectrum) when used for Internal or Therapeutic use containing less than 2% Tetrahydrocannabinols (THC) (psychoactive) are classified as a TGA Schedule 4 Entry requiring a prescription from an Authorised Prescriber under the Special Access Scheme. Food Stands Australia now classify Hemp CBD, Oil, seed and protein powder as a Dietary Supplement however we await State Law to implement this for Internal use. Case Studies are recommended. (Awaiting State Gov’t Law commencement). E. Alive Radiant Therapies Sells Elixinol for external use in massage. However for research and recommendations for internal dosage we refer you to the Global Research of The Realm of Caring. https://www.theroc.us/research-library and the Practitioners Portal https://www.theroc.us/practitioner-portal. F. Elixinol Hemp Cannabidiol CBD is not intended to diagnose, treat, cure or prevent any disease or any medical condition. The recommendations from the Medical Director can be treated as suggestions that should be considered by your licensed health care provider who has full consideration of your situation. 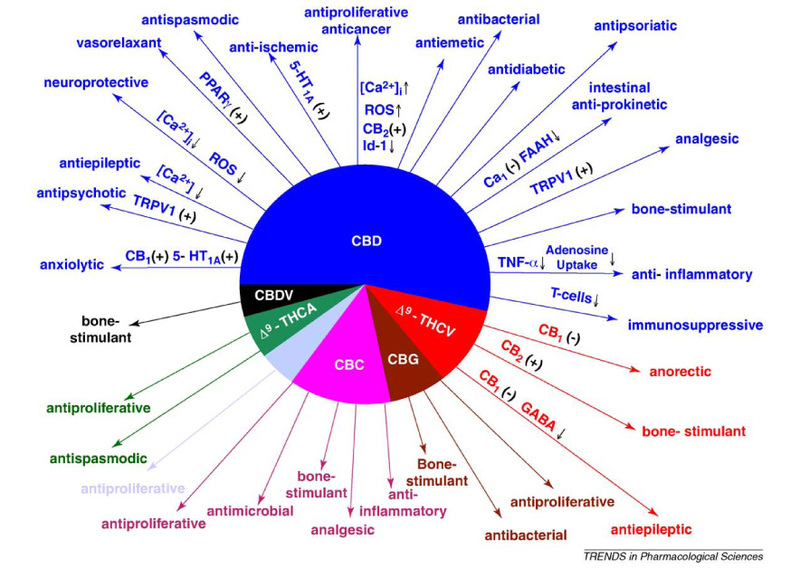 G. Trends in Pharmacological Services has produced a clear summary of the research benefits of Cannabidiol (CBD) and Tetrahydrocannabinols THC psychoactive for External and Internal Therapeutic use to feed, boost and balance a person’s internal Endocannabinoid System. Full Spectrum Hemp CBD. From 1 June 2016 the Therapeutic Goods Administration of Australian (Published 8 April 2016) approved the following Categories of Hemp Sativa for Internal Therapeutic use to feed, boost and balance a person’s internal Endocannabinoid System. A. “Cannabidiol (CBD) in preparations for therapeutic use containing 2 per cent or less of other cannabinoids (THC) found in cannabis”. Elixinol is a pure CBD extracted from Industrial Hemp Sativa with No THC. Epidiolex is a pure CBD and is being trialled for Epilepsy at the Lady Cilento Children’s Hospital. This includes all Dronabinol Delta-9- tetrahydrocannabinol (THC), Nabilone and Nabiximol products either natural or synthetically made. These are now available for medical clinical trials. B.1 Medical Marijuana Hemp with THC (a cooked marijuana hemp product containing various strengths of the psychoactive tetrahydrocannabinol. Manufactured from heat processing of Marijuana Hemp Sativa.) The TGA states “That THC has anti-emetic properties and is used for the control of nausea and vomiting associated with cancer chemotherapy”. “Sativex is a Nabiximol extract of THC and CBD in equal proportions for the symptomatic relief of neuropathic pain in multiple sclerosis in adults.” “Nabilone is synthetic THC for use as an anti-emetic treatment for control of nausea and vomiting”. On 27 July 2016, Queensland Health announced a Clinical trial for 30 epileptic children at the Lady Cilento Children’s Hospital using Epidiolex, a Medicinal Hemp Cannabidiol CBD (Isolate) developed by GW Pharmaceuticals of the UK in line with the NSW and Victorian Health Departments. Now covered under Schedule 4 Entry. Clinical trials are being carried out to achieve a specific TGA approval for the treatment of childhood epilepsy syndromes, including Dravet syndrome and Lennox-Gastaut Syndrome. On 1 August the Food Standards Australia New Zealand Statement P1042 concluded that Low THC Industrial Hemp Seed, oil, flour and protein power consumed as a Food could not provide a psychoactive THC effect when consumed as a dietary supplement. The parliament is yet to enact this finding so that Australia is in line with most other countries where Hemp seed is consumed for their benefits of high levels of Omega 3, 6 and 9 oil, protein, vitamins and minerals. We stock Hemp Foods Australia products currently for external use and as a massage oil and cosmetic ingredients. We sell Elixinol Medical Hemp Cannabidiol CBD Full Spectrum for external massage purposes as an absorption oil. This covered under Schedule 4 Entry. No prescriptions or clinical trial are required. However For internal use please consult with your Medical Professional, Naturopath, Nutritionist and Dietitian who can made recommendations and set up a clinical trial specifically for your situation. We recommend you and your Health Care Practitioner refer to the Global Research at The Realm of Caring website www.theroc.us/research-library and set up Practitioner Clinical Trials at The Realm of Caring, www.theroc.us/practitioner-portal. This shows global research on dosages, complimentary benefits when used with traditional drugs, efficacy, safety and side effects.